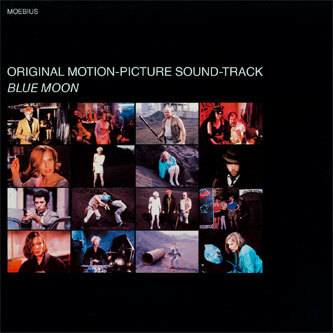 'Blue Moon' was Moebius's (Cluster/Harmonia) last solo release for Sky Records. 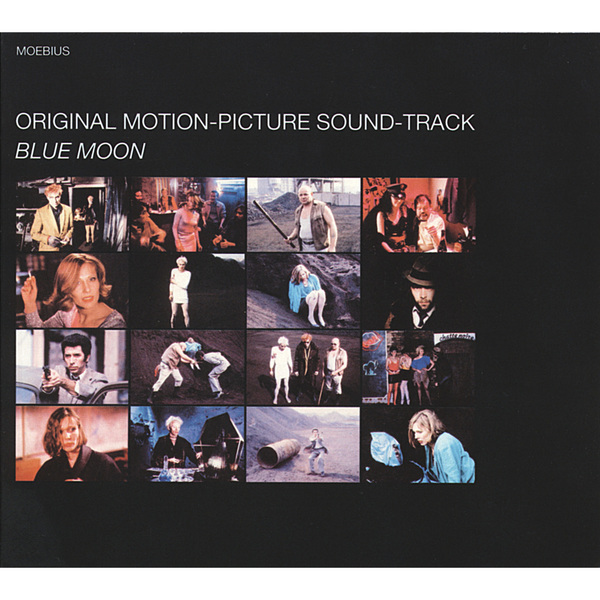 It is the soundtrack to a film of the same name, which neither I, nor Asmus Tietchens (who writes the sleevenotes) have seen, but it looks pretty cool from the stills on the sleeve - some kind of late '80s German crime thriller, possibly. Anyway, this is the only instance of Moebius writing a film score and as such it's defined by certain parameters which mark it from the rest of his work. The eleven tracks were created to fit the timing of the scenes, and are generally shorter, measured, rhythmic miniatures of pure synth music, condensing his already simple style into awesome vignettes like the tense, blaring 'Am See', the very technofied and brilliantly titled 'Kriminelle Energie', or the distorted 303-alike peal of 'Hoffnungsschimmer', together with a weirdly discordant intro and the louche ende titles. A totally unique album. TIP!